1. Buy: Wild Alaskan Salmon. 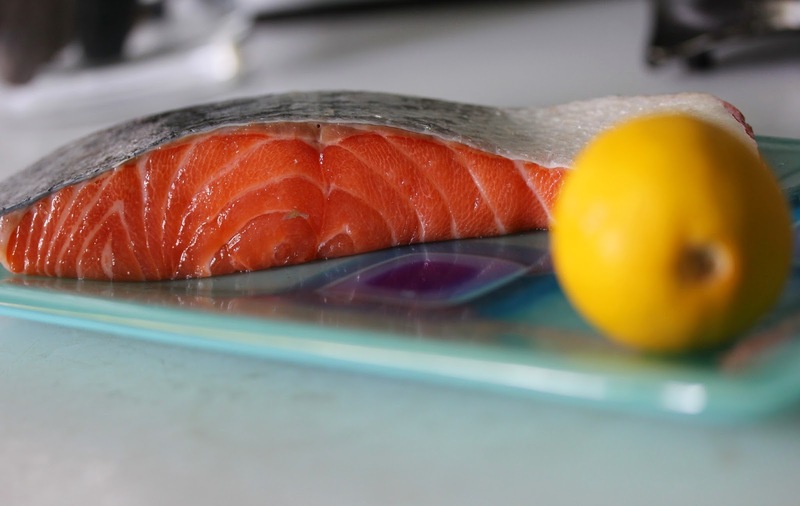 Avoid: Atlantic Salmon (all fish with this label are farmed - most often in questionable conditions). 2. Buy: Domestic Shrimp from Oregon or the Gulf of Mexico. Avoid: Imported Shrimp (90% of shrimp sold in US is imported, farmed, and possibly full of contaminants, antibiotics and cleaning chemicals). 3. Buy: American or Canadian Albacore Tuna (caught young; doesn't contain as much mercury). Avoid: Atlantic Bluefin Tuna (highest level of mercury in any seafood; over-havested). 4. Buy: Alaska King Crab (always ask where King Crab comes from - it is often mislabeled). Avoid: Imported King Crab (most is from Russia where it is not sustainably harvested). 5. Buy: Pacific Halibut, Catfish or Tilapia (sustainably farmed for now). Avoid: Atlantic Flounder, Sole, Halibut caught off Atlantic coast. 6. Buy: US hook-and-line caught haddock. Avoid: Chilean Sea Bass (most are illegally caught; highly contaminated in mercury). 7. Buy: Pacific Cod (one of Food & Water Watch's Best Fish Picks). Avoid Atlantic Cod (currently one step above endangered). 8. Buy: Domestic Farm-Raised Catfish. Avoid: Orange Roughy (over harvested). 9. Buy: Yellow Snapper or Domesticated Catfish. Avoid: Imported Catfish (90% from Vietnam, caught in antibiotic-contaminated water). 10. Buy: Atlantic or Pacific Squid. Avoid American Eel (often found in sushi; highly contaminated with PCB's and mercury). 11. Buy: Pacific Halibut and Atlantic Mackeral. Avoid: Shark (destroys the food chain, high in mercury, cruel use of fins in soup). 12. Buy: Lake Sturgeon or American Hackleback/Shovelnose Sturgeon Caviar from the Mississippi River System. Paul Greenberg states in his book, American Catch, that 90% of all seafood eaten in America is imported, and that 79% of our Wild Alaskan Salmon is exported. No wonder it's so hard to make a good choice. *http://www.prevention.com, "12 Fish to Stay Away From," by Emily Main. Thanks for posting this. I'm going to print it and tuck it in my wallet for seafood shopping.